In the freelancing industry, setting yourself apart from the rest of the pack is paramount. You can’t just rely on your presence on freelancing marketplaces if you want to build a brand that will attract high-paying clients. What you need is to invest in your very own digital portfolio that will show them that you know your stuff. Unfortunately, building an effective freelance digital portfolio isn’t a walk in the park. It’s true that there are several website builders and content management systems that can help you with the task. But if you want to make your efforts count, you must also learn the basic conversion rate optimization and marketing strategies that will enable you to convert more leads. The first order of business is to learn the fundamental practices of designing an effective digital portfolio and the strategies that will help you pull in more qualified leads and convert them into valuable clients. At this point, you probably already know how important it is to publish content that aligns with your expertise. It doesn’t matter if you’re a web developer, content writer, or a freelance accountant. If you want your brand to appear credible in the eyes of prospects, you must be able to provide them with unique, insightful content. One strategy is to mold content ideas using Q&A websites like Quora to find pain points you can address. 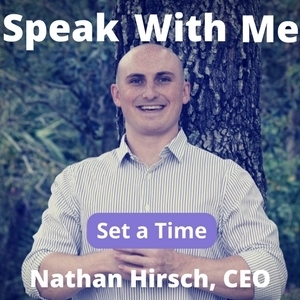 Begin with a seed keyword that can pull up questions that your target audience may be asking. 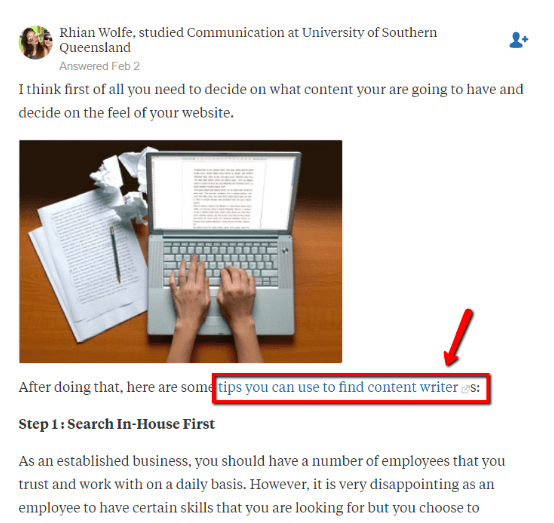 For example, if you’re a freelance content writer, you can enter the keyword “find content writer.” Quora should immediately generate a handful of useful content ideas you can use on a blog post. Although full-length blog posts are effective in communicating your freelancing brand’s message, they often fall short in terms of capturing the audience’s attention. As a rule of thumb, always use a featured image to make your content more inviting to read. Not just any featured image — a custom image that you have concocted yourself with tools like Piktochart or Canva. Remember, high-value clients are always finicky when it comes to choosing freelancers to work with. The last thing you want is a freelance digital portfolio that’s peppered with generic stock images that they’ve probably seen dozens of times before. A simple strategy is to add your post’s title as an overlay to make your content more eye-catching and shareable on social media. According to statistics, Facebook posts with images are 2.3 times more engaging than those without. You could also design an infographic resume that visually highlights your credentials, work experience, and some interesting facts. Reviews from past clients are perhaps the most effective tool in terms of winning your target audience’s trust. Just remember that clients don’t often publish reviews or testimonials pertaining to any brand of their own accord. As the freelancer in question, you need to send them a gentle reminder to leave their feedback if they liked your work. The best time to request for a review is right after receiving praise or any positive remark from an active client. If they are particularly grateful for the results they recently got, they should be more willing to lend you a hand in bolstering your digital portfolio. Some clients may not be able to write reviews right away even after a couple of follow-ups. In which case, you just need to be patient and understand that these people probably already have a lot on their plate. For freelancers with an established clientele, broadcasting an email blast that requests for reviews may sound reasonable. But if you still can, craft handmade emails that are personalized for each client to make them more impactful. Although writing a review may sound like it’s the easiest task in the world, you need to make the process seem as frictionless as possible. Remind your client that 2-3 sentences are enough and avoid writing request emails that are unnecessarily long. It may sound harsh, but you should know that clients don’t really care if you land the project or not. They’re only interested in the value of your freelance work and how it can benefit their goals. For example, if you’re a freelance writer, your target audience could be businesses or entrepreneurs who don’t have the time to develop their own content. Their goal is simple: to generate content to fuel their online marketing efforts, be it through blogging, guest posting, social media, or anything in between. As the first thing that most visitors will see, your portfolio’s landing page must have a straightforward headline that instantly communicates what your brand is about. If you find yourself unable to come up with anything, consider writing your headline last. Since you’re not supposed to squeeze too many words into your headline, you should use a subheadline instead to give prospects a better understanding of what you offer. There’s no need to think of something complicated or profound — just be honest and descriptive about your freelancing work. Just like online stores and business websites, you must also optimize your digital portfolio’s performance in order to convert more visitors into leads. Statistics show that 40 percent of users won’t hesitate to abandon a website if it takes more than 3 seconds to fully load. Loading speed is also known as a crucial SEO and conversion factor that website owners can’t afford to ignore. The good news is, you don’t need to be a freelance web developer to roll out strategies that improve your online portfolio’s performance. For example, with a tool like Imagify.io, you can easily optimize your visual content by reducing file sizes without affecting quality. You can also use a CDN to speed up your site by spreading the load of transferring data across multiple proxy servers. Finally, backlinks not only improve your website’s rankings in search engine results. When done right, they can also be a source of high-quality traffic that can supercharge your lead generation efforts. Keep in mind that the main goal of your freelance digital portfolio is to win the trust of prospective clients. If they discovered your site via a backlink from an authoritative blog or publication, they’re more likely to see your brand as authoritative as well. Rather than starting over from scratch, you can simply look at other brands and “borrow” content ideas that have already proven to be relevant in your niche. Your next priority is to have a piece written that’s more updated, thorough, and valuable overall. For better chances of earning links with your new content, reach out to the same influencers who linked to the original content you used as inspiration. Always remember that creating a freelance digital portfolio is just the tip of the iceberg for freelancers who want to break into the industry. 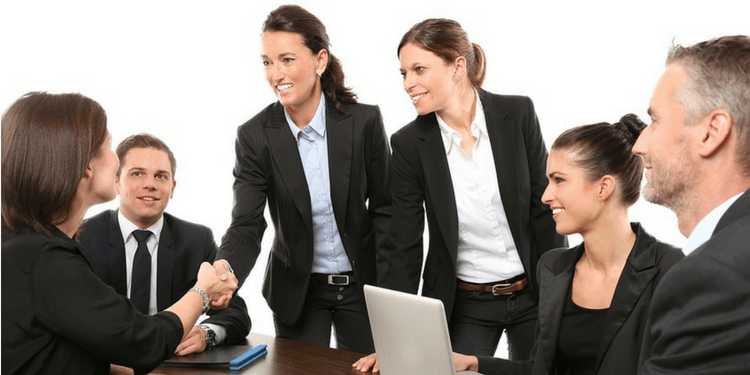 You need to be willing to learn the ropes of online marketing and branding if you want to establish an authoritative presence that high-value clients can trust. With the tips above, you have more than enough strategies under your belt that will help you accomplish this very goal. Good luck! Neil Edison lives and breathes writing. He writes about marketing, business, sports, cybersecurity, or just about anything and everything under the sun. Yes, investing in your portfolio and showing them that you know your stuff will surely attract and get you high-value clients.